Cable Bahamas Ltd. is the nation’s communications provider of choice! Founded in March 1995, Cable Bahamas Ltd. has grown from a cable TV service provider to incorporate broadband Internet (March 2000) and telephony (2011). Through launching its REV suite of products – REVTV, REVON and REVOICE, Cable Bahamas Ltd. became the first communications provider in The Bahamas to offer ‘triple play’ service and continues to revolutionise every area of business, delivering unbeatable services at the lowest rates in the country. The company’s success is driven by a highly skilled and 100% Bahamian workforce that is unrelenting in its commitment to excellence, innovation and quality customer care. Today, Cable Bahamas Ltd.’s services are unmatched. REVOICE landline phone delivers the most affordable phone service with the clearest call quality and the most features. REVON broadband Internet is the fastest in the nation and REVTV cable TV services include more than 500 channels with dozens in HD and thousands of hours of video on demand content. Cable Bahamas Ltd. has been providing cable TV services in The Bahamas since March 1995 and Internet services since March 2000. On June 30, 1995, the company completed a $30 million public equity issue, resulting in an overwhelming response as 3,000 Bahamian shareholders purchased ownership in the company. 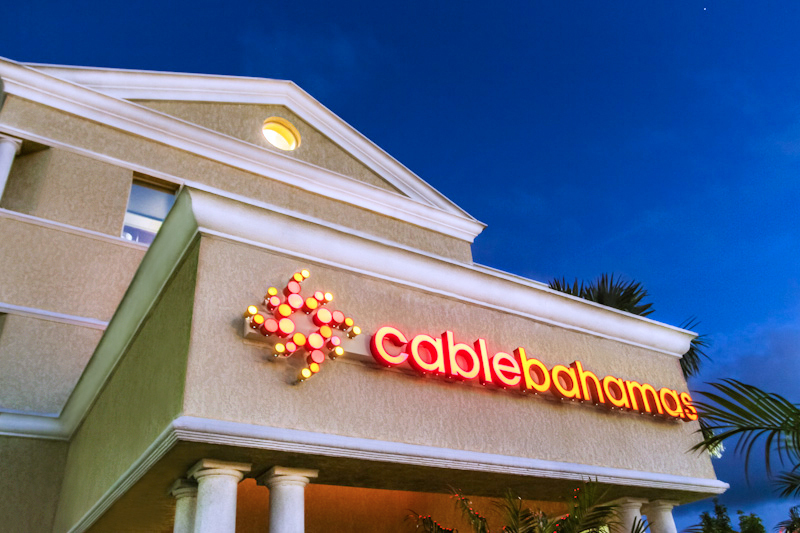 At the end of 1996, as Cable Bahamas Ltd. completed its first full year of operations, revenue was $12 million, operating income was $4.6 million, net income was $2.5 million and the year-end subscriber count was 37,400. By the end of 2000, the share price stood at $8.50 with a cumulative growth of over 750%, total subscribers were 51,609 and net income was $7.3 million. Two significant growth areas for the company are its high-speed Internet services and its wholly owned submarine 600 km fiber-optic cable system, which is operated by its subsidiary, Caribbean Crossings Ltd. Cable Bahamas is the leader in delivering the Bahamas’ fastest and most reliable high-speed Internet service. Late 2010, Cable Bahamas Ltd. announced plans to purchase System Resource Group (SRG) Limited to enable the company to introduce innovative services and lower prices for the consumer. This union allows the company to become the Bahamas’ first 100 percent Bahamian-owned public converged communications services provider offering voice, broadband data and video products. In 2011, Cable Bahamas Ltd. was reborn! With a bold new look and an array of improved services and products, the company unleashed technology in new and exciting ways. With the introduction of REVOICE, a cutting-edge home phone service, Cable Bahamas Ltd. became the first triple-play provider in the Bahamas, offering TV, Internet and phone services at bundled prices that customers can afford. Cable Bahamas Ltd. has positioned itself to adequately address current and future competition and is well-equipped to meet any challenges ahead. Our network is comprised of 14 free-to-air broadcast systems on 11 islands, eight stand-alone cable TV systems, and four triple play systems networked by a submarine fibre. Together, this network services 99 per cent of the Bahamian population. 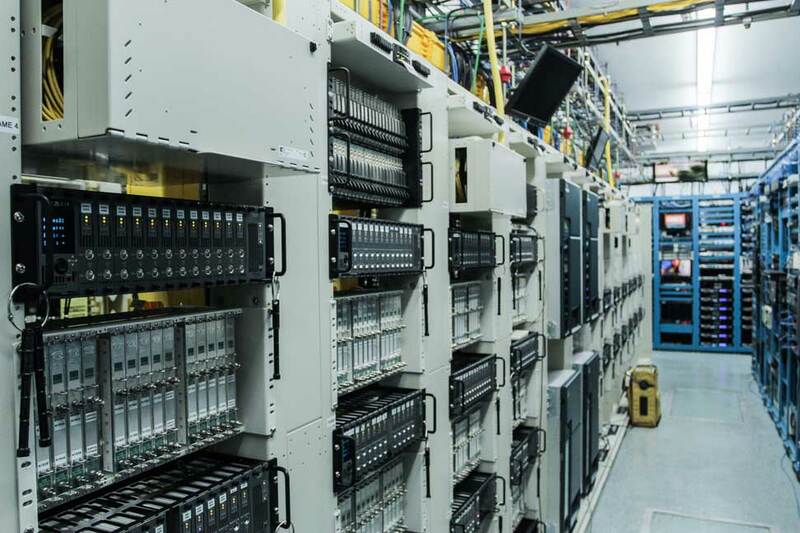 Our submarine fibre continues into the United States, connecting to a terrestrial fibre in South Florida, creating a terrestrial fibre ring around the state, and providing triple play services to four additional systems. These combined networks make up the complete Cable Bahamas network.